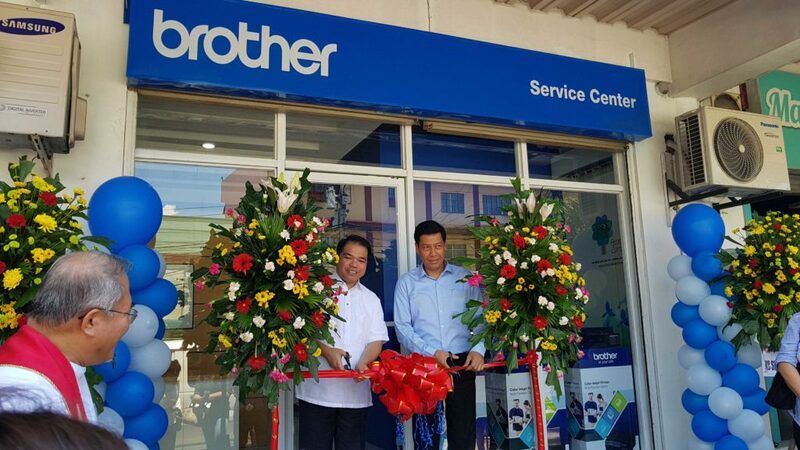 Global printing and technology solutions leader Brother Philippines recently opened its newest satellite office in Barangay Mabolo, Iloilo City. As the sixth and latest addition to Brother’s growing line of extension offices nationwide, the Iloilo branch will cater to customers residing in Panay Island and nearby provinces. Launching this new establishment in the photo are Brother Philippines President Mr. Glenn Hocson and Brother Philippines Senior Manager for Customer Service Mr. Joel Demanarig. The Brother Iloilo Extension Office is located at Cischo Building, Barangay Mabolo, Delgado Street, Iloilo City. Customers and partners may reach the Iloilo Extension Office at (033) 508 5749 between 8:30AM to 5:30PM on Mondays to Fridays, except for holidays. Brother Philippines is a sales subsidiary of the Brother Group. Established in Japan in 1908, the Brother Group delivers products and services to customers all over the world, with manufacturing and sales facilities in 44 countries and regions. Brother Philippines offers products and services with Brother expertise in a wide range of fields such as printing and solutions, home and embroidery sewing machines, labelers, and scanners. Since its establishment in the Philippines in the year 2000, Brother has been placing its customers first everywhere, every time, and has been providing them with superior value with high quality products and services. Brother also prides itself with its sustainable business practices, taking responsibility, acting respectfully, and making a positive difference through Brother Earth. To learn more about the brand and its products, visit the Brother Philippines website atwww.brother.com.ph, like its Facebook page (Facebook.com/BROTHERatyourside), and follow it on Twitter (@BROTHERPhils) and Instagram (@BrotherPhils).